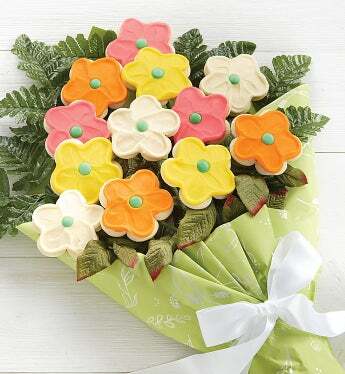 Surprise her on her special day with a yummy bouquet of 12 long stemmed buttercream frosted flower cu-out cookies delivered in a pretty gift box. Guaranteed to delight! OU D.